Leica Mini M: What can be expected? Rumor suggests a Leica Mini M could be launched in early June, but what can we expect it to feature? Leica has been unveiling subtle hints that a new camera could be set to launch on the 11th June. The teasers on Leica’s website suggest the new camera could be called the Leica Mini M, which could be positioned between the Leica M and the Leica X2. 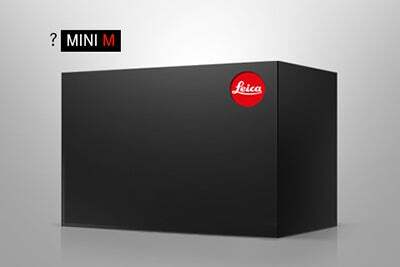 Up until recently, rumours about what the Leica Mini M may offer in terms of its specification have been sparse, but the first leaked specifications on an unknown source point to it featuring a 16MP APS-C sized sensor with a fixed 28-70mm f/3.5-6.4 ASPH lens. The leaked specifications (in French) suggest the Leica Mini M will also support full HD video recording, a full aluminium body and will be manufactured in Germany with a €2450 price tag. Adobe Photoshop Lightroom 4 is expected to be bundled with every Leica Mini M that’s sold. Early impressions from a leaked photograph on Leica Rumours suggest the Mini M won’t feature an optical viewfinder, but an external electronic viewfinder will be produced. A pop up flash, movie record button and exposure compensation dial are also pictured on the Leica Mini M’s top plate. If the Leica Mini M rumours are to be believed, it could be the world’s first compact with an APS-C sized sensor and a fixed zoom lens. Rivals in the form of the Nikon Coolpix A and Ricoh GR both have fixed focal length lenses.